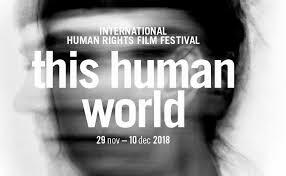 We’re looking forward to the Vienna premiere of our film at the famous human rights filmfestival this human world on 5 Dec! Wish us luck for the Austrian Competition of the festival! Das Screening beim This Human World Filmfestival in Wien, findet am 5.12. 17:45 im Top Kino, Saal 1 statt. Der Film wird in in Originalfassung mit deutschen Untertiteln gezeigt.